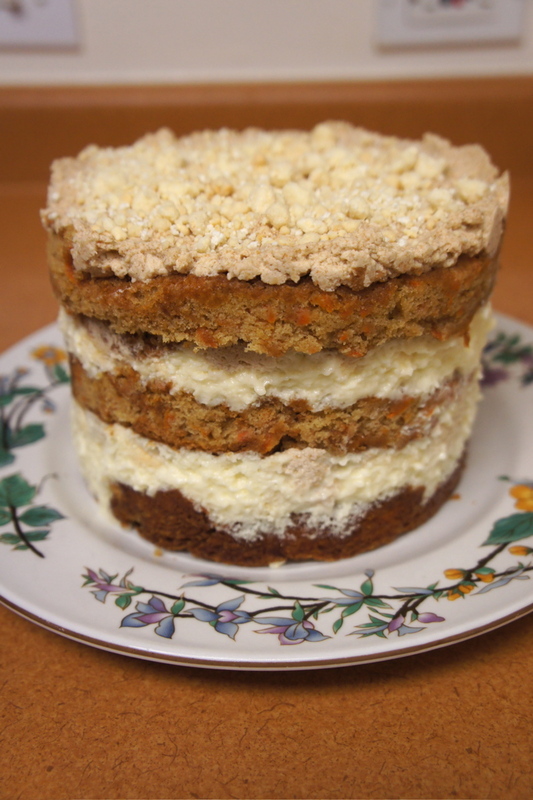 I enjoyed assisting with the epic tales of the carrot cake! I can’t wait to try it! Wow how fantastic!!!! Lovely, informative post. Congrats— your result is everything I hope mine will be too when I give this recipe a try– I am so impressed!!! Thanks for reading and good luck with your cake! It’s worth it! Tosi is amazing. Have you made the Ritz Crunch? It is genius. Thanks, this is VERY informative (and I love the flow chart!). I was wondering about the “quarter sheet pan” she insists on, it’s not a normal size for the home cook and she doesn’t elaborate much. Some sources say a quarter sheet pan is 9X13 and I wondered why not use the brownie pan most avid home bakers have already??? Now I know that won’t quite work for cutting out the circles. 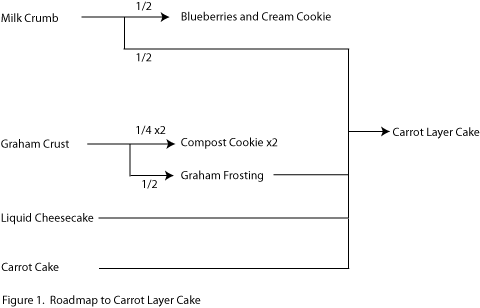 I don’t care about the presentation too much so I will probably just bake in the 9×13, cut in half then slice each half into two layers to make a rectangle cake. Making this for hubby’s birthday coming up this weekend and it’s my first project from the book so I really appreciate that someone has gone before me. Sounds like a good plan. Enjoy! I bought my aluminum 1/4 sheet pan from a restaurant supply store and it has become indispensable for all cake and cookie making. The 1″ lip is the perfect height for this cake, and combined with a cut-to-fit nonstick baking liner, my fear of breakage is a thing of the past. Hi Angelys, thanks for the comments and thanks for reading!